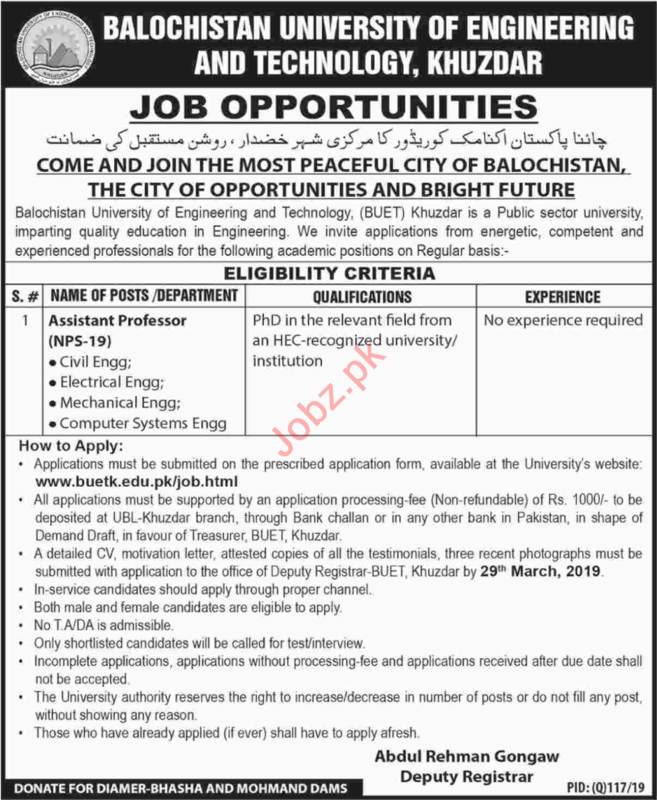 Balochistan University of Engineering and Technology is looking for highly qualified & experienced candidates for the posts of Assistant Professor Civil Engineering, Assistant Professor Electrical Engineering, Assistant Professor Mechanical Engineer, Assistant Professor Computer System Engineer in Khuzdar. Interested candidates can contact on given details for more information. You can apply online at vacancy after registering at http://www.jobz.pk site.